MY KIDS FAVORITE THING TO PLAY WITH IS MY PATIENCE. - ProudMummy.com the Web's Community for Mums. 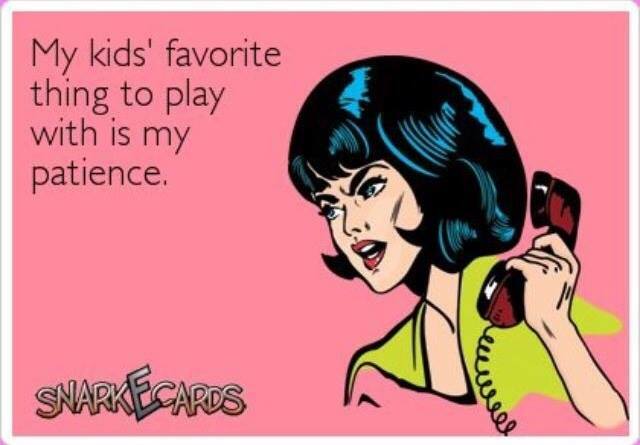 Home » Memes » Parenting » MY KIDS FAVORITE THING TO PLAY WITH IS MY PATIENCE. MY KIDS FAVORITE THING TO PLAY WITH IS MY PATIENCE. MY KIDS' FAVORITE THING TO PLAY WITH IS MY PATIENCE. Katy Hogg I totally can relate to this today hahahahaha.